I have made these unwanted pages noindex (using "X-Robots-Tag: noindex" HTTP header). Then I removed these pages using "Remove URLs" tool in Search console. These pages have disappeared from Google for a while, but now they have come back (and I really don't want them there). P.S. Currently these pages show up as "Expired" in "Remove URLs" in Search console. To remove content permanently, you must remove or update the source page. Temporarily remove URLs that you own from search results. The difficult part of what you are trying to do is de-index a page already indexed by Google. Once Google indexes a page, it doesn't like to let it go, even if you 404 or 410 the page, it will periodically over time come back and hit it just to see if the page has returned. As long as you have the correct noindex tags set, you should be fine. Over time Google and other Search Engines will de-index the page -- but the key here is time. You can combined the noindex tags with the GSC Remove URLs tool to have a more immediate effect. What I would do is: go under the robots.txt Tester section in the Google Search Console, and test one of the URLs you are trying to de-index from Google (such as your example.com/buy). Assuming there are no conflicts, move on, if there are conflicts, address them with your robots.txt file, as Google should be able to crawl the pages you are trying to de-index. More info on these can be found here. If all this is done, you should eventually see the pages permanently removed from the Search Engine's Indexes. Not the answer you're looking for? Browse other questions tagged google-search-console indexing or ask your own question. What is the empirical way to tell that Google has removed a URL from the index? 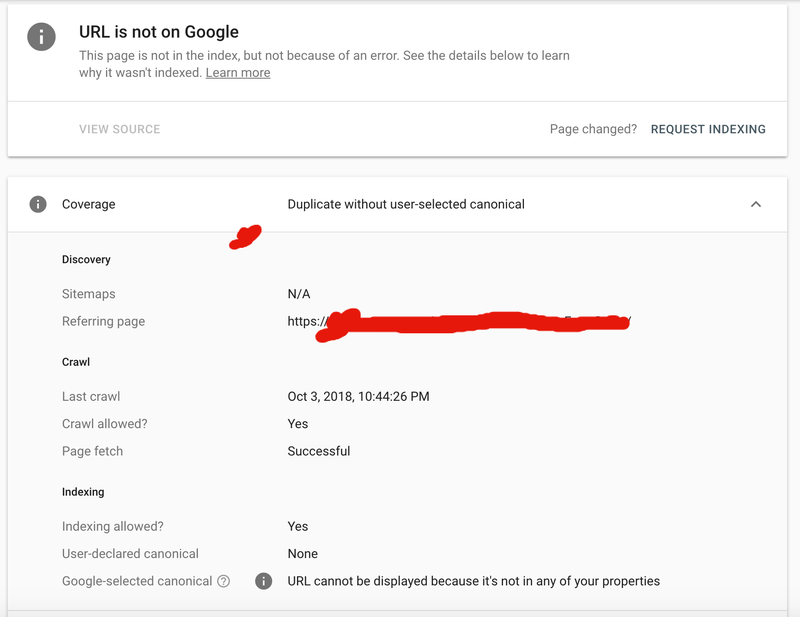 Do I use both Search Console's Remove URLs Tool and Remove Outdated Content Tool after content removal on my site? When a Google Search Console removal request expires, could that content return to the Google index?